I love In Our Time with Melvyn Bragg.. 45 minutes a week on BBC Radio 4 and you know you will always learn something new! The thing that amazes me most about these programmes is how Melvyn seems able to ask pertinent question regardless of the topic. He is surrounded by people who have spent years studying a particular subject and he always sounds like he knows what he is talking about whether it is the history of Mali, The Salem witch trials, X-Ray Crystallography or Rumi’s poetry. Only once have I heard him flummoxed.. and must confess I was too.. so have a listen and see what you think about this classic discussion about Bertrand Russell and his work on Analytic philosophy. 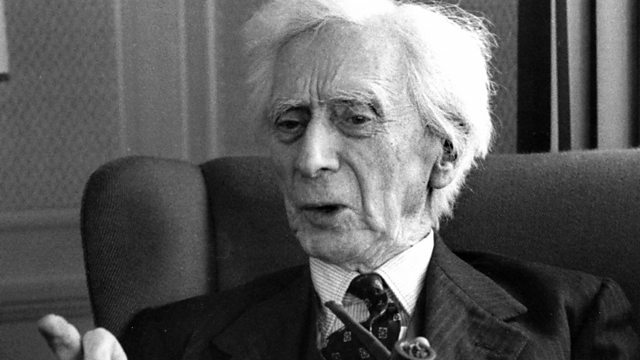 Melvyn Bragg and his guests discuss the influential British philosopher Bertrand Russell. Born in 1872 into an aristocratic family, Russell is widely regarded as one of the founders of Analytic philosophy, which is today the dominant philosophical tradition in the English-speaking world. In his important book The Principles of Mathematics, he sought to reduce mathematics to logic. Its revolutionary ideas include Russell’s Paradox, a problem which inspired Ludwig Wittgenstein to pursue philosophy. Russell’s most significant and famous idea, the theory of descriptions, had profound consequences for the discipline. Have a browse through the comprehensive A-Z with all episodes broadcast since 1998 and I’m sure you’ll find something that takes your fancy.. from the A of The Abbasid Caliphs to the Z of The Zulu Nation’s Rise and Fall.